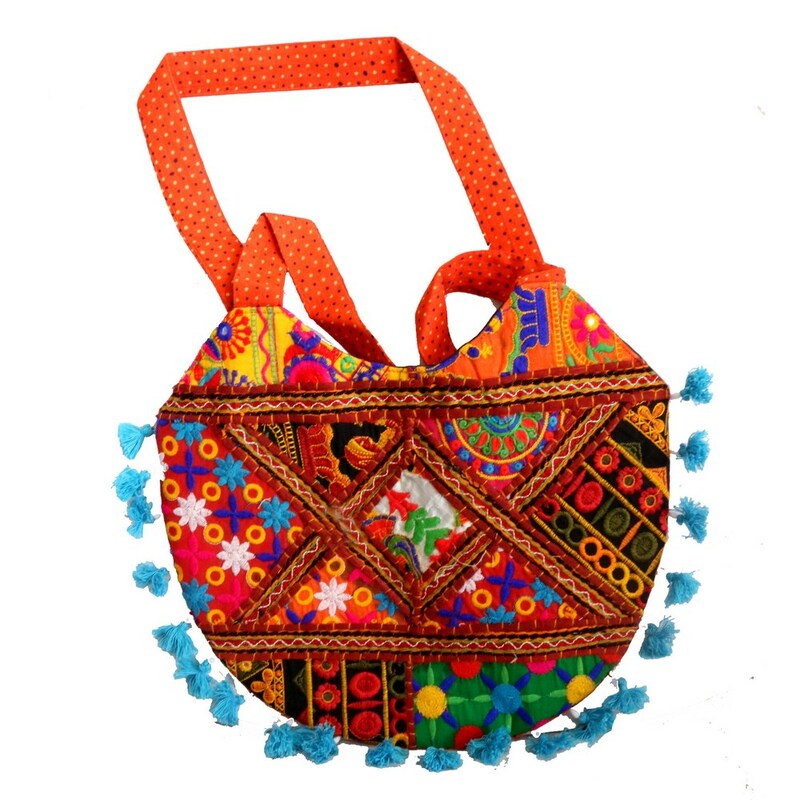 Semi-circular in shape, this handcrafted designer bag totally wins the women’s heart with its cute size and all over embroidery work. It is captivated with Read More..tiny fabric balls in sky colour on all its sides. The orange handle makes the colour combination extremely pretty for the wild party nights! Show Less..